Asthma and allergies are growing increasingly common among children, with around 9% of kids in the US now suffering from asthma(1) and skin allergies and respiratory allergies now affecting around 12% and 17% respectively(2). These conditions often occur together, with children who have allergies more likely to have asthma. 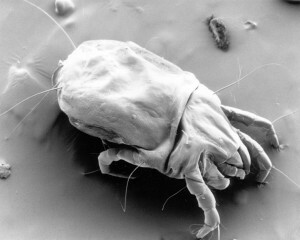 Although there are numerous triggers for atopic conditions, an allergy to household pests or their waste products is one possible cause, with dust mites, rodents and cockroach droppings a common trigger(3). In fact, according to a recent survey of allergists, keeping your home free from pests is an essential step to prevent the symptoms of asthma and allergies(4). The results of this survey are encouraging, as while consulting with a physician specializing in atopic conditions is essential to receive an accurate diagnosis and medical advice on how to manage asthma and allergies, taking action to eliminate the trigger is crucial, which families can achieve with the help of pest managementprofessionals. While no one likes to think that they have an infestation of pests at home, particularly when this means your family’s health is potentially at risk, allergic pests are more common than many people realize. For instance, previous research into the incidence of household allergens has shown that close to 85% of homes have evidence of dust mites in their beds and in around half of homes levels are sufficient to trigger a sensitivity(5). While you might be able to accept the thought of dust mites in your property, it is another matter when it comes to cockroaches, but 63% of homes in America contain evidence of these invasive insects, with 11% of living rooms and 13% of kitchens containing high enough concentrations to provoke an allergic reaction(6). The dander, fur, urine, droppings and body parts from pests can all potentially trigger an allergic reaction or an asthma attack. This is because these items all contain proteins that the body is unfamiliar with, so if exposed to these, your immune system recognizes the foreign substance and mounts an attack, which leads to inflammation. The results of this can include skin irritation, coughing, sneezing, wheezing, chest tightness and shortness of breath. These symptoms are not only unpleasant, but they may require hospital care and absence from school. Clearing out cobwebs, but being wary that a significant increase in number could be the warning signs of a spider infestation.